• The set of all the possible elements is called a universal set. It is usually denoted by the symbol “U”. • What is A ∩ B (the intersection of set A and set B)? The following diagram is a visual representation of the Universal Set “U” described in the problem statement. Set A is composed of some (but not all) of the numbers in the Universal Set “U”. Because of this relationship between the two sets, Set A is a called a proper subset (math symbol ⊂)of the universal set “U”. This is shown on the following Venn Diagram. 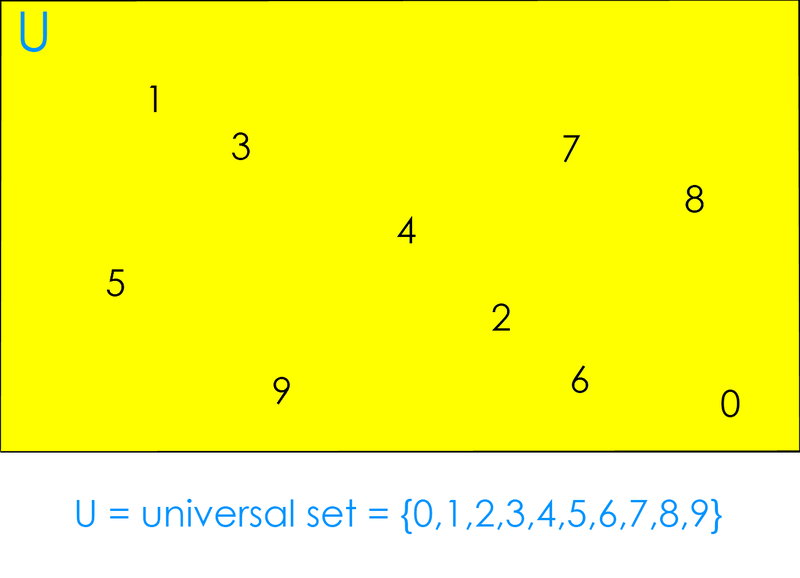 Set B is also composed of some (but not all) of the numbers in the Universal Set “U”. Set B is also a proper subset (math symbol ⊂)of the universal set “U”. 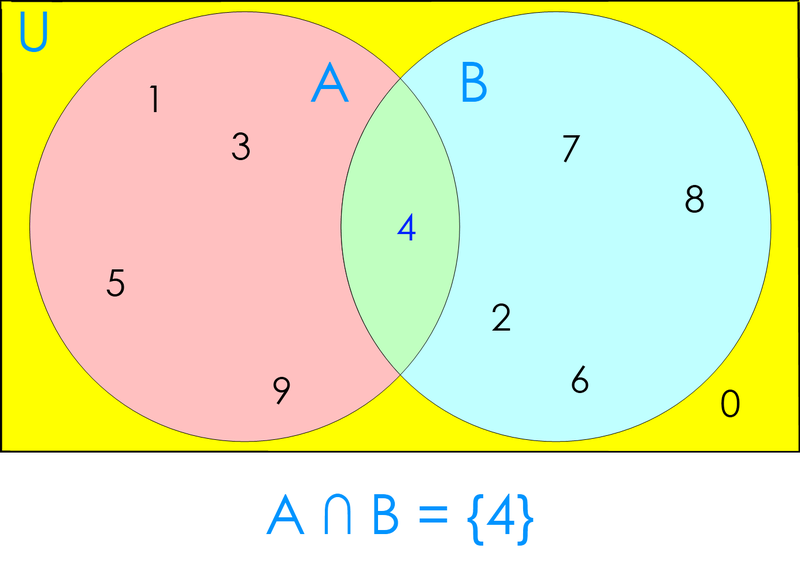 Both sets A and B contain different elements (numbers), except for one common element: the number 4. This is shown in the following Venn Diagram. 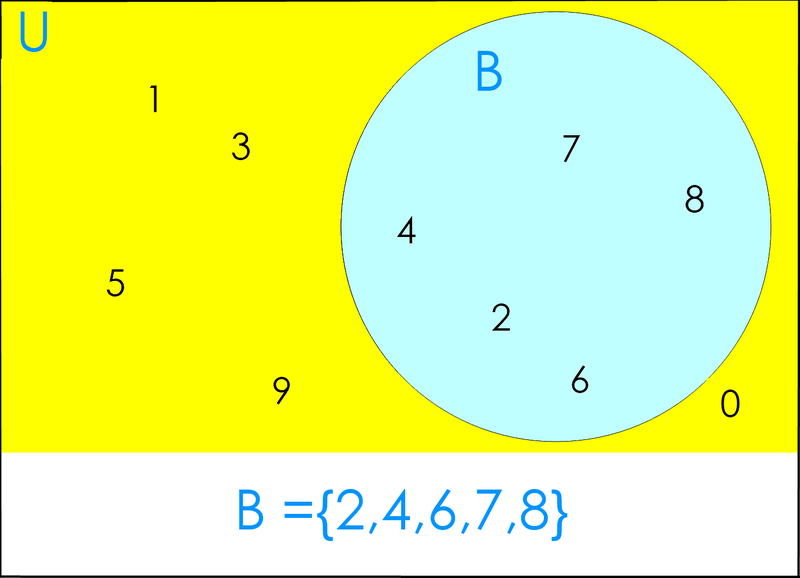 This common element (the number 4) is where set A and set B overlap. 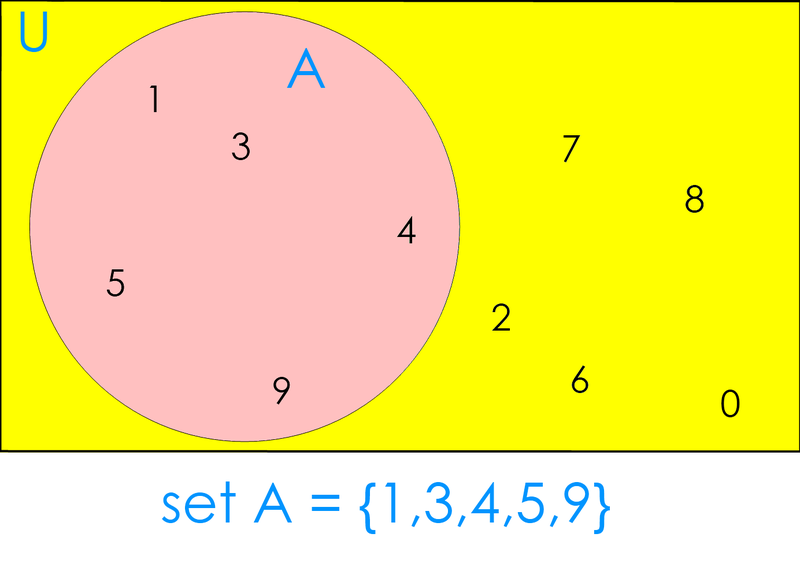 The overlap is called the “intersection” (math symbol ∩) of set A and set B. What is A ∩ B (the intersection of set A and set B)? n left parenthesis Upper A union Upper B union Upper C right parenthesis equals 27n(A∪B∪C)=27.